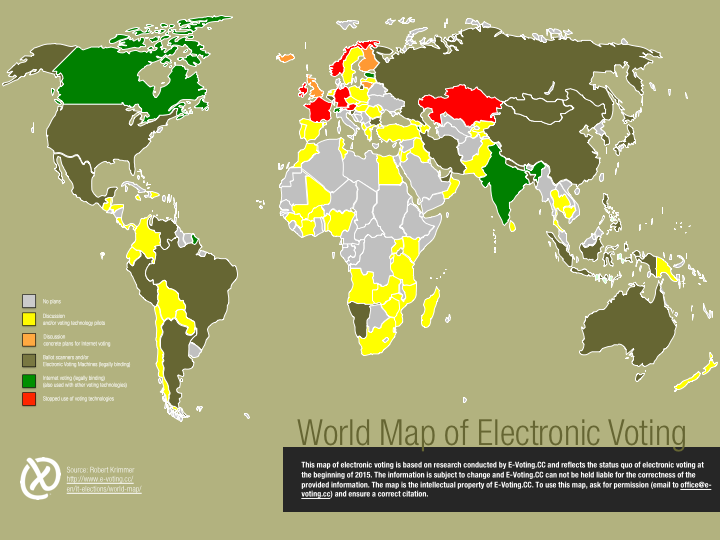 The e-voting map visualizes the current status quo of the world wide use of electronic voting and new voting technologies. The latest map of 2015 is now available and shows the significant expansion of voting technologies. The map is based on our own research and we look forward to your feedback. If you would like to use the map, please let us know @ office@e-voting.cc.